Don't miss our WINTER MUSIC PROGRAMS on Thursday, December 7. Grade 2 performs at 6:00 p.m. and Grade 3 at 7:00 p.m. Everyone welcome! The Student of the Month theme for November focused on being Respectful. 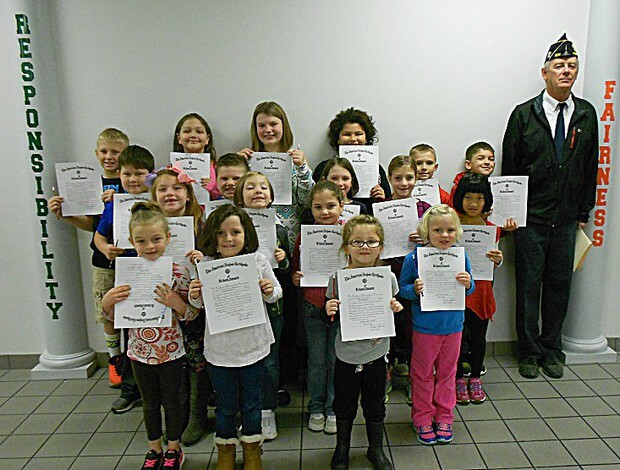 Respect Yourself, Others, and Property” was the featured character trait and teachers chose those students who were outstanding in treating others the way they, themselves, would want to be treated. Kindergarten: Eden Carpenter, Ellen Olman, Bailey Craig, Daphnee Hacker, Mallory Kelly. First Grade: Bella Bearden, Nevaeh Yorn, Daniel Hatfield. Second Grade: Jackson Meyer, Sophie Riehle, Zander Burkett, Jesse Weaver. Third Grade: Chloe Andrew, Kyndell Furnish, Dara Morton. Fourth Grade: Kynadee Bode, Matthew Baylor, Dillan Engel, Mya Horton. Our annual Christmas Dinner for the students is coming up soon. This is a day we set aside for the children to come to school dressed in their “Sunday best” and listen to some beautiful Christmas music while they enjoy a delicious candlelight dinner. It has become an MES tradition that students as well as staff look forward to each year. This year we will have our celebration on Thursday, December 14. 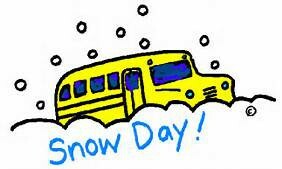 We’d like to stress that this day is for our students. Although you’re always welcome to visit school for lunch on days that are special to you and your child, we ask that you avoid coming for lunch on this day. This special meal takes a considerable amount of extra preparation on the part of our kitchen staff and makes it difficult to accommodate guests while making sure all the students receive the meal promised without substitutions. Also, many of our staff members take this opportunity to lunch in the cafeteria with the students. All of this makes the lunchroom more crowded than usual and it is difficult to arrange extra tables to seat visitors safely. We thank you sincerely for your understanding and cooperation in helping us make this day a special one for our students and we wish you all a happy and peaceful holiday season. Parents, Please Check our Lost & Found! Our lost and found box is overflowing! There are some very nice coats, sweatshirts, and other cold weather gear in there in addition to some swimsuits/towels, shoes, etc. 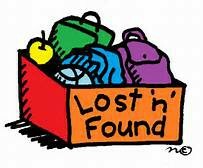 If you visit for your child’s swim meet, please plan to stop by the tables in the cafeteria where we’ll have our “found” items spread out and claim anything you might find that belongs to your household. Be Prepared for Emergency Dismissals! A reminder to parents about the “Emergency Early Dismissal Plan” form that you filled out on line way back in August that gave instructions for your child in the event school would be dismissed early due to bad weather, heating problems or an electrical outage. This would be a good time to review that plan with your child and make sure s/he understands what to do and where to go if school lets out early. If you find your plan needs updating, please send a note to your child’s teacher right away. Please remember, the plan should not involve the student or the teacher calling home. Again, we ask your help in limiting phone calls to school during inclement weather so the lines are kept free for outgoing emergency communication. The local media is notified immediately if a decision is made to release students early and it is posted on the school website in addition to the automated school notification call system that will call you directly. These sources will always be your best choice for information. MES Family Night at the Reservation is a Big Success! The Reservation Restaurant and the Moving MES Forward Foundation teamed together to host the annual Milan Elementary School family night. “What a special evening watching staff members, students, and families interacting and having fun with each other,” states Brenda Schwering, School Counselor and President of the Moving MES Forward Foundation. We extend a big MES THANK YOU! 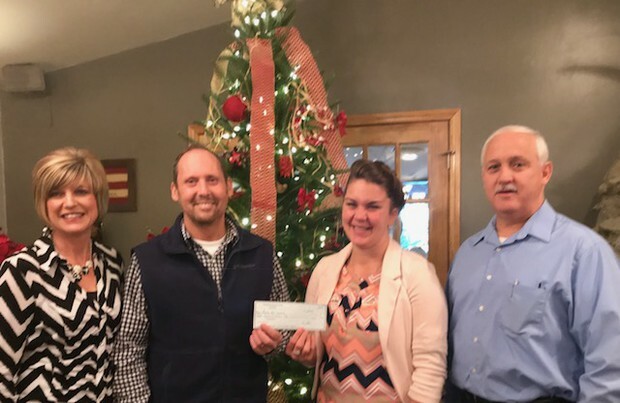 to Greg and Jeff Holt who gave 10% of their proceeds from the day to the Moving MES Forward Foundation, a non-profit organization that financially supports projects and initiatives which benefit the staff and students at Milan Elementary School. 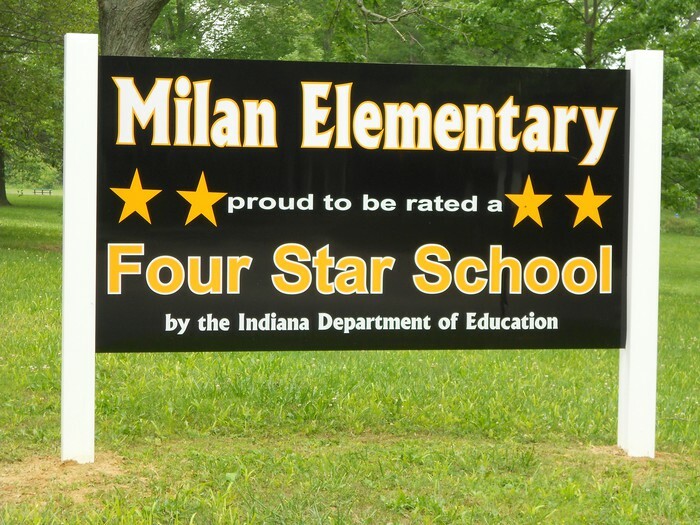 Giving is the theme this time of year and Milan Elementary is so thankful to the Sons of Legion Post 235. The generous monetary donation will make a positive impact for our students and staff. “We so appreciate organizations like Sons of the Legion for their support in helping our students. It is such a benefit when we work together in our community to help our youth; they are our future,” states Brenda Schwering, School Counselor. 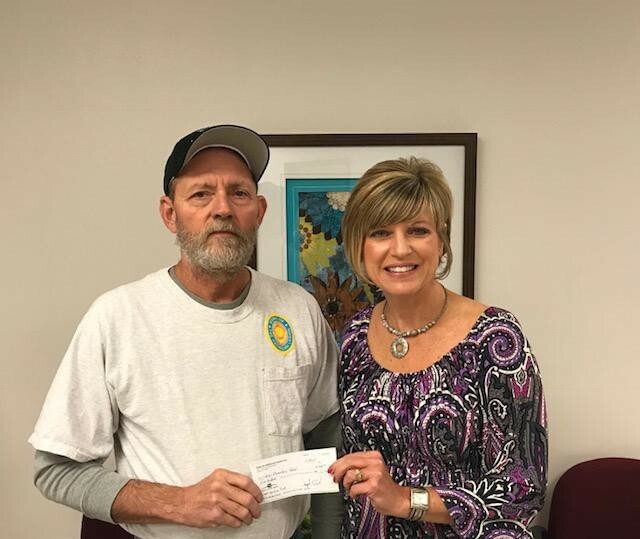 Mrs. Schwering is shown accepting a check from Mr. Bill Craig representing the Sons of the Legion. 7 - Winter Music Programs: Grade 2 @ 6:00 p.m.; Grade 3 @ 7:00 p.m.
18 - Swim Races: Grade 4 @ 9:00 a.m.; Grade 2 @ 12:45 p.m.